Opening Reception, May 9th, 7-10 p.m. 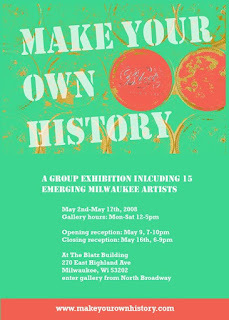 Closing Reception, May 16th, 6-9 p.m.
Catalogs will be available at the opening! For more info visit the website and the blog… Visit Jennifer Bastian’s flickr site for some good work in progress images. Next Opening Night at the Blatz!